Pipe Flange | Custom Pressure Vessel Components Manufacturing | Forged Components, Inc.
A pipe flange is an important part of any pipeline system and needs to be high-quality in order to meet the demanding environment these forged components live in. Excellent pipe flanges are customizable. 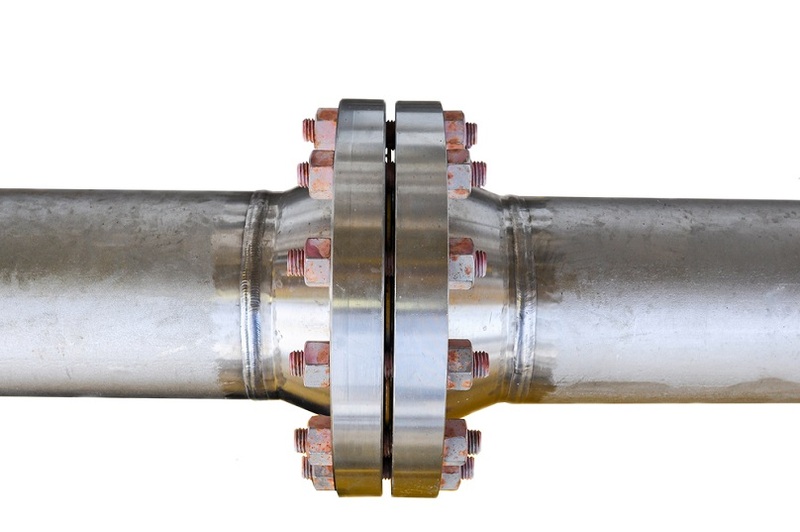 Because all flanges act as a connection between two pipes, and the varieties of pipes and functions for each of them is nearly endless, they need to be able to be customized for the needed purpose. Because pipe flanges are used in so many different industries in so many different ways, they need to be able to be shaped into the various sizes and shapes necessary to meet the needs of the industries and the functions that they perform. Because flanges are used under some of the most difficult conditions, such as conducting high-temperature, high pressure liquids and gasses, with these being highly corrosive at times, excellent pipe flanges must be durable. Not only for the conditions on the inside of the pipes, but for temperature extremes on the outside of the pipes as well. From extreme heat in the desert to the freezing arctic conditions across frozen wilderness, the pipe must be strong, temperature resistant, resist corrosion and able to handle extreme pressures. Heavy pipe flanges make transport difficult. They should provide all of the necessary strength while being light enough to be used easily. Pipe flanges are essentially connections, and these connections need to be easy to place and replace when necessary. They should be easy to integrate into an existing pipeline or a core part of the construction of new pipelines. Looking for Excellent Pipe Flanges? Check out Forged Components, Inc. We are one of the premier custom pressure vessel components manufacturing companies in the world. Get in touch with a custom pressure vessel specialist today at (281) 441-4088 or contact us online using our web-based contact form.